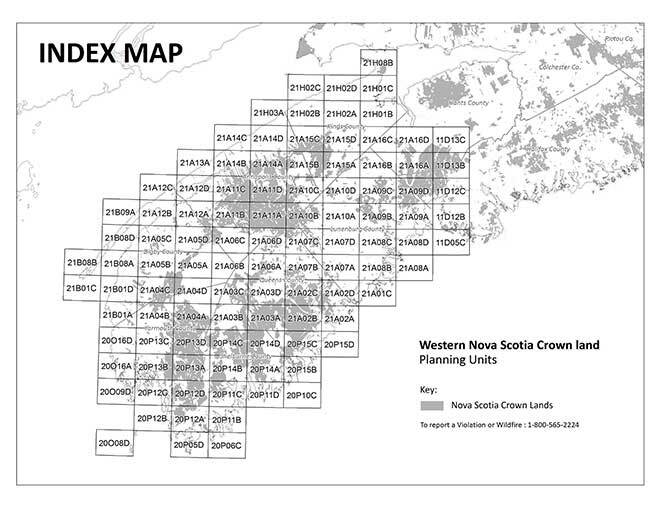 In August 2015 an update of the conceptual plan for the Western Nova Scotia Crown land was released (see link below). The update changes the name and definition of “Environmentally Sensitive Area” to better clarify the meaning and intent. Guidelines for “Biodiversity-Rich Landscapes” can be found below. 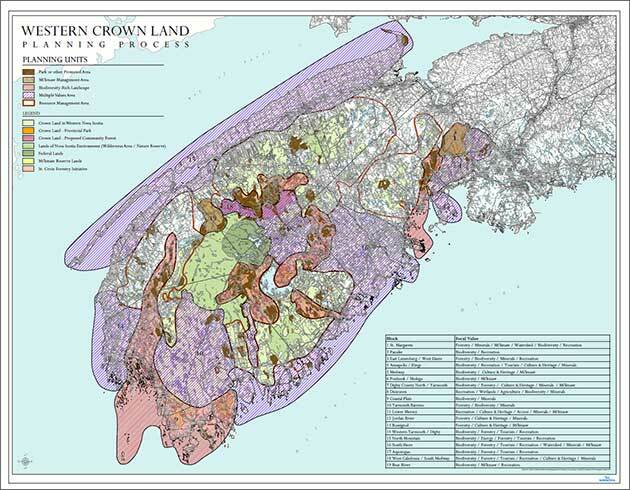 To download this large-scale map, click on the image or right-click on the image and Save Link/Target As.